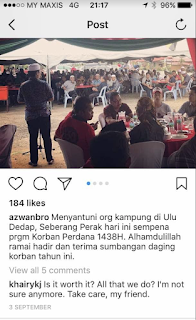 rocky's bru: KJ merajuk lagi? Puchong, 20 Sept: A friend told me YB Khairy Jamaluddin, the Sports and Youth Minister, isn't quite himself these days. 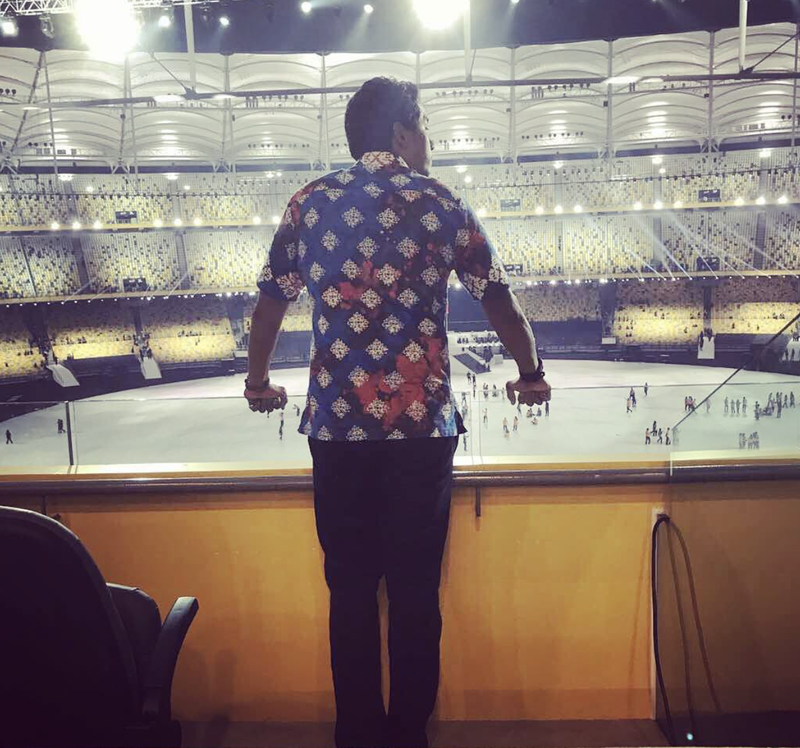 After the euphoria of the SEA Games, the young man seems disenchanted. His last posting on his hugely popular Instagram account was on Merdeka Day, the day after the Games. It was a photograph of him, taken from behind, overseeing an almost deserted rink. And that's all she wrote says the caption. 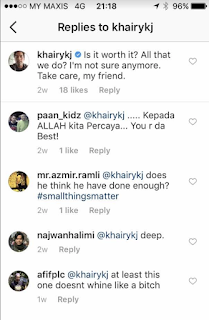 But it's what KJ has on his Insta profile that has left my friend disgusted and a lot of people guessing. I told this friend that, well, may he doesn't give a flying f for something that should not be of too much concern to people like my friend. "How can you say that? KJ is a Minister .. it's unbecoming." 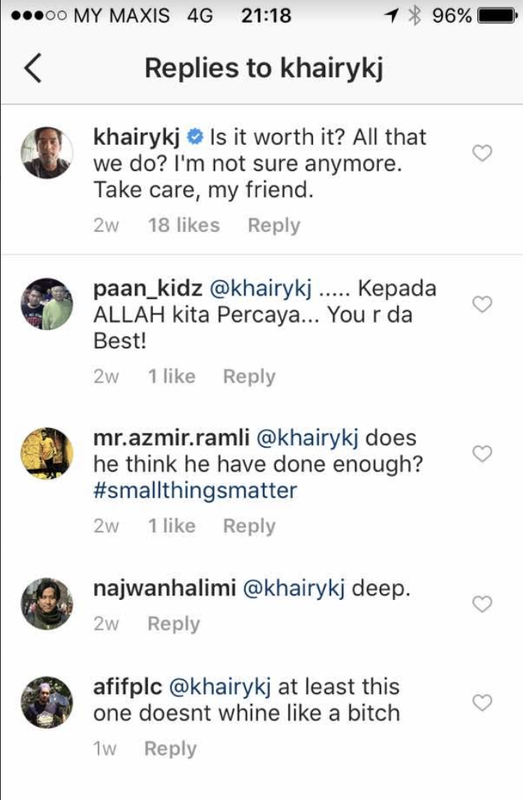 This friend proceeded to send me some conversations on social media to suggest that Khairy was really unhappy about something. Mmm .. does make you wonder. These texts are several days old, mind you, but a lot of people are curious, concern and, I suppose, give a flying f about KJ, that's all I'm saying. p.s. For context, an old posting of mine, KJ Merajuk? 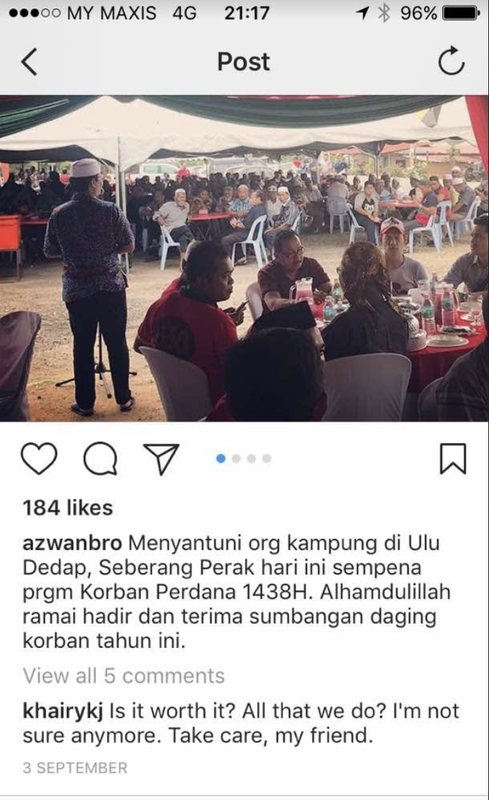 Ala merajok ni permainan anak anak dan org tua. Kalau darah panas pemuda ditunjukkan dgn aksi dan tindakan. Kalau tak tumbuh tak melata. Kalau tak disuruh org takkan patuh.